Caracatzanis becomes the new CEO of AvtoVAZ. 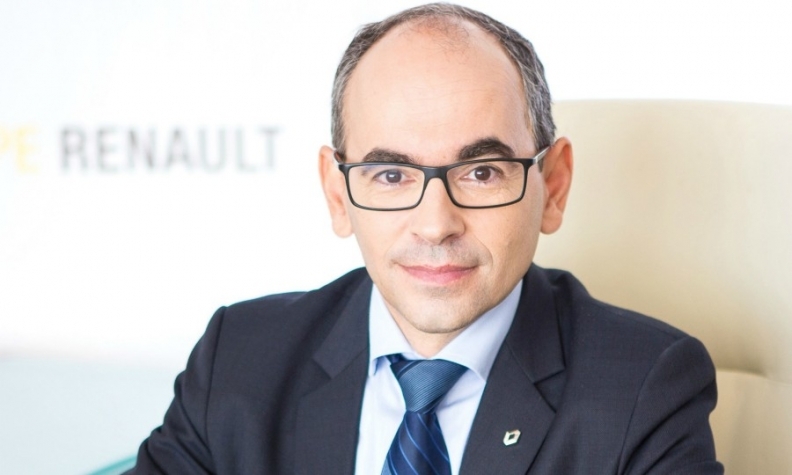 PARIS -- Renault has shuffled the leadership of its Dacia and Lada subsidiaries, appointing Antoine Doucerain as managing director of Dacia, replacing Yves Caracatzanis, who becomes CEO of AvtoVAZ, which builds Lada cars. Doucerain will become managing director for Romania, where Dacia is based. He has worked at Renault since 1993. He held senior positions at the Douai and Maubeuge plants until 2012, when he moved to Brazil to coordinate the establishment of a Nissan plant there. In 2015 he returned to France as manufacturing director in charge of eight Renault plants. Caracatzanis joined Renault in 1992 as a project manager in logistics. He held managerial positions at the plant in Flins, France, and in 2005 was named director of car prototypes. He served as director of supply chain for the group and in April 2016 was tapped for leadership roles at Dacia and Renault Romania. The low-cost Dacia brand has become a success story for Renault, with sales up 12 percent in 2017 to 655,000 vehicles, since it acquired a majority stake in 1999 from the Romanian government. Dacia models are sold as Renaults in markets outside of Europe as part of the group's Global Access program. Lada is Russia's leading brand by sales, but it has suffered from years of red ink. Last year, AvtoVAZ reduced losses to 9.7 billion rubles ($171 million) as the Russian auto market increased by 12 percent after four years of steep declines. AvtoVAZ had a deficit of 44.8 billion rubles in 2016. Renault Group CEO Carlos Ghosn has vowed that AvtoVAZ will show a profit in 2018 following a turnaround plan released at the end of 2016. "With Yves Caracatzanis, we plan to continue the development of Lada sales in Russia and abroad, the optimization of costs internally and in cooperation with suppliers, and chairman, said in a statement. The Russian market has continued its rebound this year, with sales expected to rise 10 percent in 2018. Lada sales rose 22 percent in March 2018 on a month to month basis, and it has a 20 percent market share, including passenger cars and light-commercial vehicles, according to the Association of European Businesses (AEB) lobbying group. 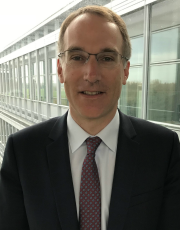 Doucerain, the new head of Dacia, is a veteran Renault executive. Renault signed a strategic partnership agreement with AvtoVAZ in 2008, and in 2012 acquired a majority stake in Alliance Rostec Auto, a joint venture that is the main shareholder in AvtoVAZ. It led a 1.2-billion-euro recapitalization in 2016, and has fully consolidated the Russian company into its balance sheet. The recapitalization was finalized this week, and Alliance Rostec now holds 84 percent of AvtoVAZ.